We had two guests for the price of one last night! 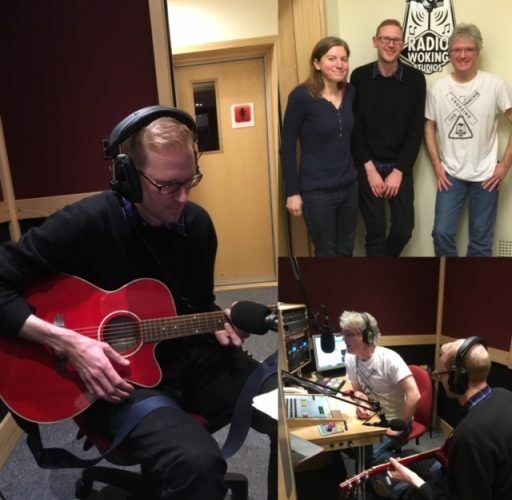 We were delighted to be joined by James Scallan from ‘The Pony Collaboration’, playing some live tracks from their new album ‘Everything Was Ages Ago’, and Holly Wilcox from the band’s record label, ‘North Bend Records’. They were great company so big thanks to them for coming in to see us. It was a really fun show so please listen again by clicking the link at the very bottom of this page. Keep up with The Pony Collaboration via @northbendrecords on Facebook! Join us next week when ‘McLaren Teamtalk’ returns!